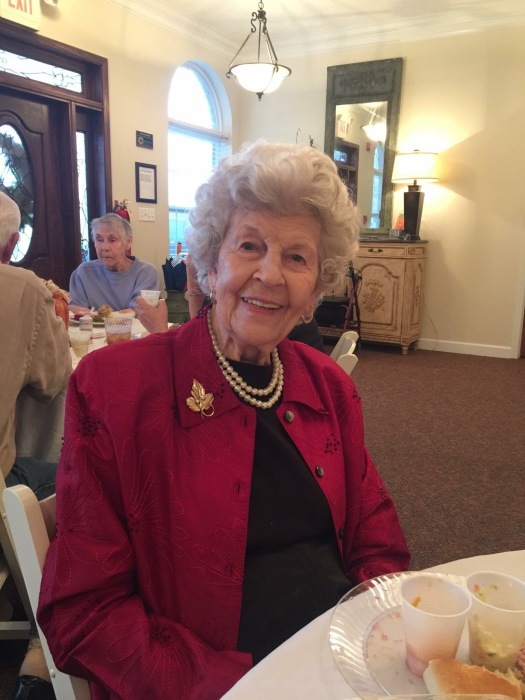 Mrs. Gladys Miller Bodfish age 99, of Parsons, TN passed away on Monday November 12, 2018 at Westwood Health Care and Rehab in Decaturville, TN. She is survived by her Son, Allan (Linda) Miller of Parsons, TN; Daughters, Patricia Jean Reeves of Darden, TN, Sharon Marrs of Franklin, TN; Step-Daughters, Bonnie Hjelm of Florida, Norma Taylor of Ohio, and Patricia Turner of Arkansas; 7 Grandchildren; 13 Great Grandchildren; 8 Great Great Grandchildren. She is preceded in death by her Husbands, George W. Miller and Rodney Bodfish; Mother, Vera Patterson Clark; Father, John Clark; Brother, Steve Clark; Sisters, Elvie Williams and Edith Clark. The family will receive friends on Wednesday November 14, 2018 from 3:00PM until 8:00PM at Parsons Mortuary. Visitation will continue on Thursday November 15, 2018 from 12:00PM until time of service. Services will be held on Thursday November 15, 2018 at 1:00PM in the Parsons Mortuary Chapel with burial to follow in the Parsons Memorial Gardens Cemetery.